While the fate of Kurt Busch for 2015 is still up in the air following his indefinite suspension, we do know one thing about the No. 41 Chevrolet. 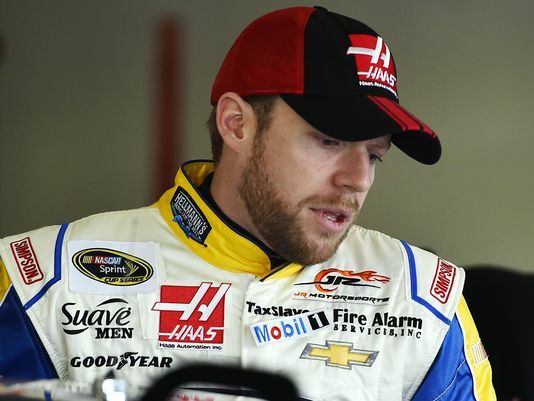 Regan Smith, who had a solid 16th place finish in Sunday’s Daytona 500, will again drive the No. 41 Stewart-Haas Racing Chevrolet at Atlanta Motor Speedway. SHR also said in the news release that a driver to replace Busch for the following weekend at Las Vegas Motor Speedway and beyond has not been determined. Representatives from SHR and Busch’s public relations team told FOX Sports 1’s Alan Cavanna on Monday that they have not received any word from NASCAR about what steps Busch will have to take before he can apply for reinstatement. Smith will take part in Thursday’s open test at Atlanta on Thursday and will be in the car for the remainder of the weekend. Sunday’s race will be Smith’s third with SHR. In addition to the Daytona 500, Smith also filled in for Tony Stewart in the No. 14 SHR Chevy at Watkins Glen International last August , the morning after Stewart was involved in a fatal sprint car crash in Upstate New York that left fellow driver Kevin Ward Jr. death. Guilty until proven innocent the NASCAR way. That’s not the way we were raised in America, and not the American way. Must be Democrates running NASCAR, they seem to think they can change things to suit their whims. Danica grabs Denny Hamlins fire suit, shakes him on national TV and no suspension for her.??? Saying guilty until proven innocent is blatantly wrong! Busch was suspended on overwhelming evidence that he is a domestic abuser. Given his propensity for aggressive behavior and actions, I feel that nascar is doing an outstanding job of showing Busch that actions have consequences.